Here’s a tasty Korean snack recipe… “Haemul Pajeon” or “Korean Seafood Pancake“. 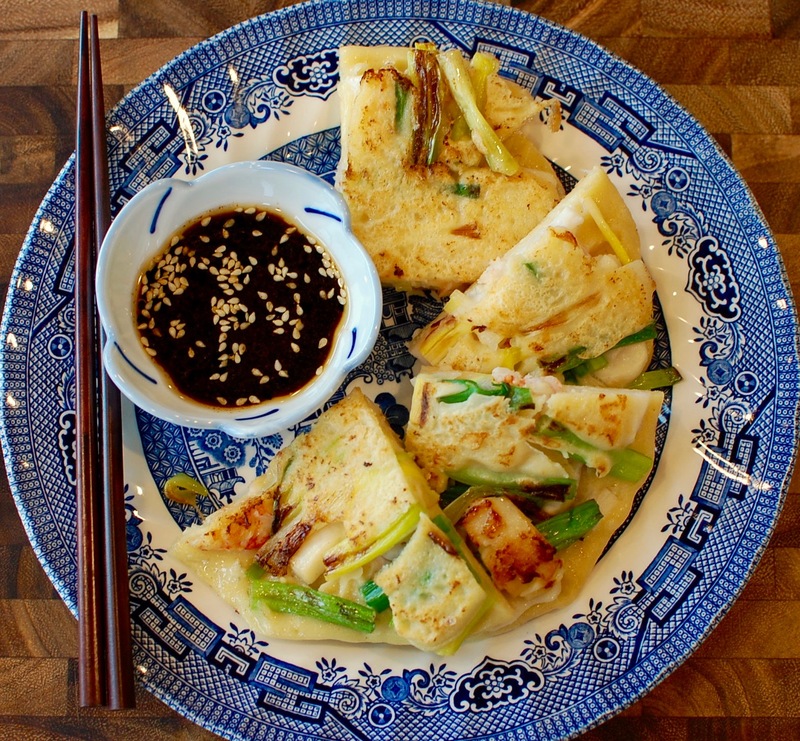 This delicious savory pancake is prepared with a simple batter, mixed seafood, and chopped green onions – gently pan-fried until crispy and served with a sesame-soy dipping sauce. It’s a great dish to eat when it’s cold and rainy out (so it’s perfect for the current gloomy El Niño weather we are experiencing in San Diego this week)! If you are near a Korean market, you can buy “Buchimgaru” (basically, Korean pancake mix) instead of making the batter from scratch. If you can’t find the pancake mix (or don’t want to bother with it) – it’s no problem because the batter is REALLY simple to mix up – it’s just a 1:1:1 ratio of 1 cup water:1 cup flour: 1 whole egg. 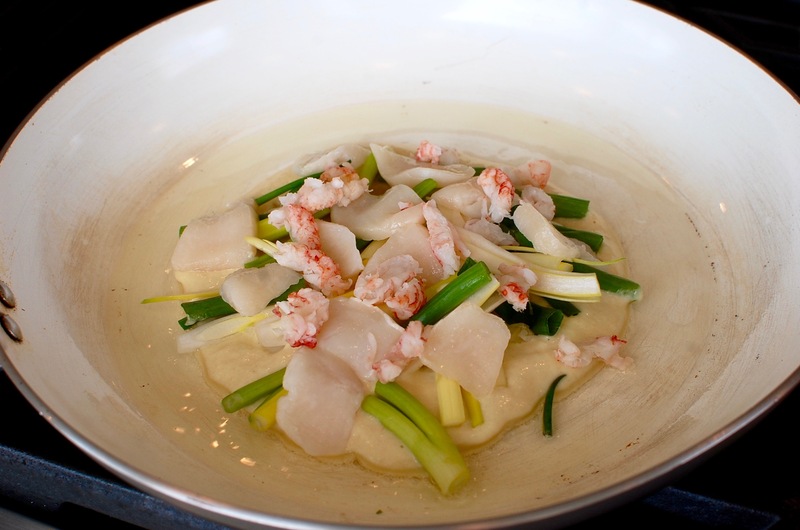 For the seafood… you can use any combination of raw seafood that you like. I usually have frozen seafood on hand so I just remove and defrost what I need under cold running water. 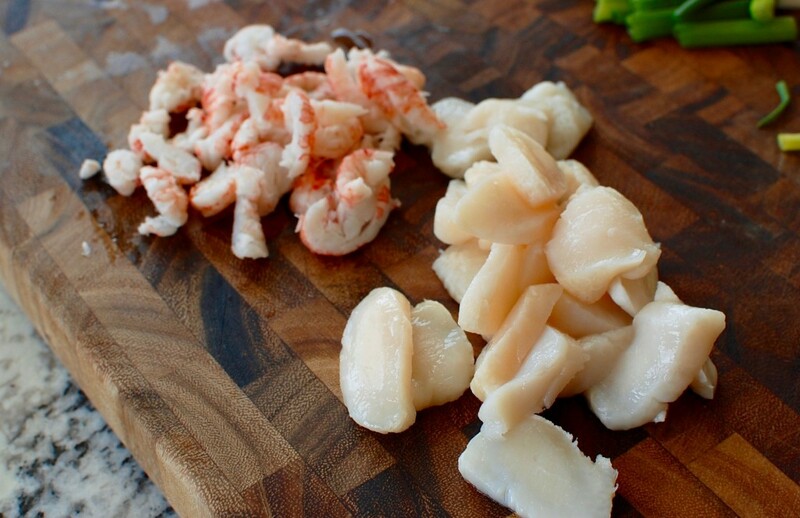 If you are using frozen seafood, make sure to thaw and pat dry before using. Today, I used a combination of large sea scallops and langostino lobster tails. Other popular seafood choices are: squid, shrimp, mussels, clams, oysters, etc. 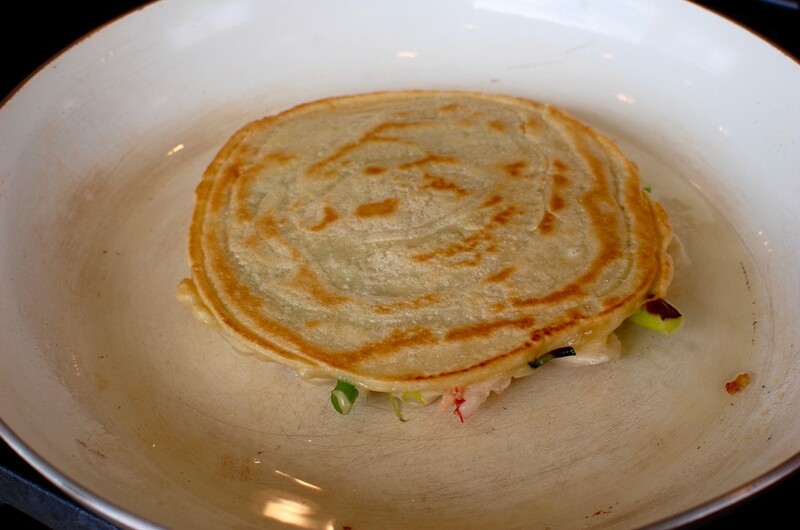 In the Korean language, “haemul” means seafood, “pa” means green onion, and “jeon” means pan fried batter. 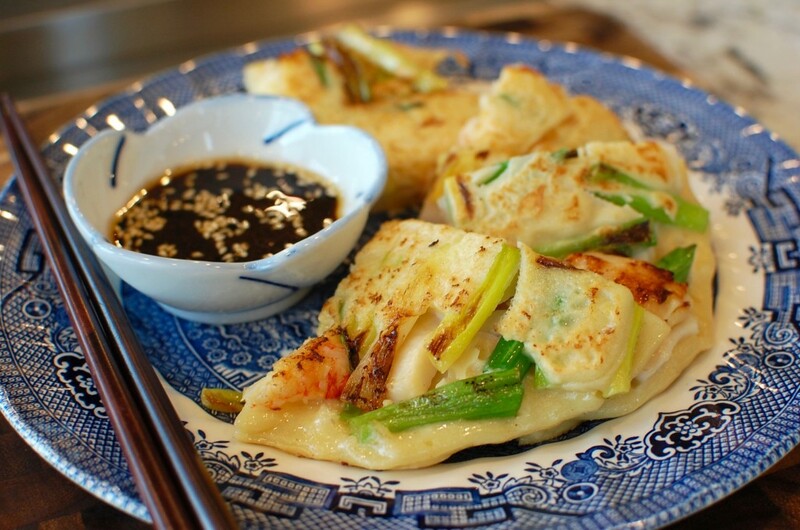 If you prefer to omit the seafood (“haemul“) – you can still make this recipe (it will then be called “Pajeon“) – just substitute the seafood with other ingredients like chicken, beef, pork, mushrooms, carrots, zucchini, peppers, etc. This recipe makes 2 servings (2 pancakes) and can be doubled or tripled if you want to make additional servings. 1. 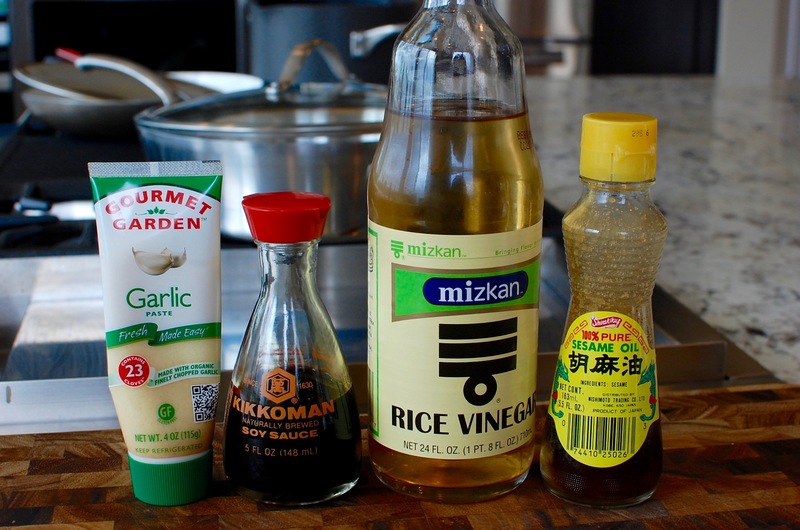 Mix the ingredients for the dipping sauce and set aside. 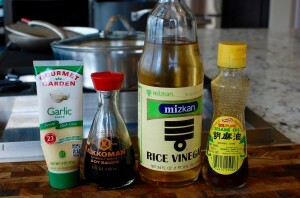 (Omit the Korean red pepper if you don’t want any spiciness to the dipping sauce.) 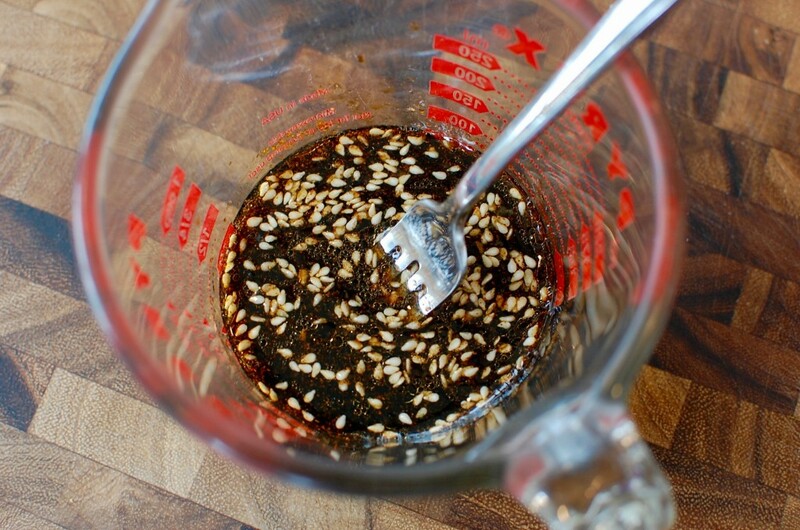 If you can’t find Korean red pepper, you can substitute with cayenne pepper or Italian style red pepper flakes. 2. Slice your seafood thin into bite sized pieces. 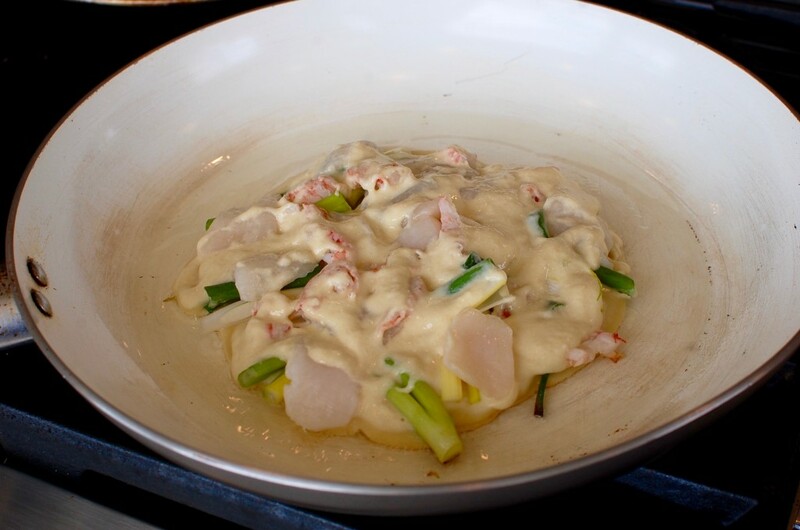 It’s best to use raw seafood (I’m using raw scallops here)… but feel free to throw in any leftover cooked seafood you have as well… I used cooked langostino tails, and it was fine. 3. 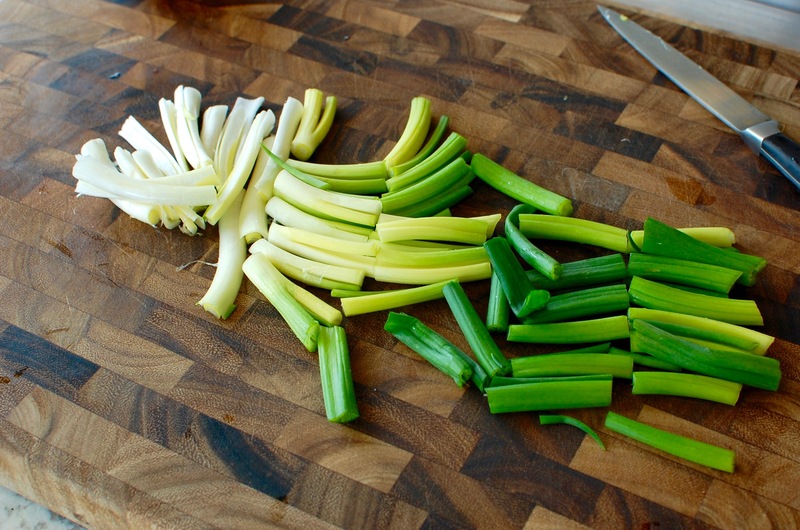 Wash and trim your green onion stalks. Slice them into 2-3 inch pieces. 4. 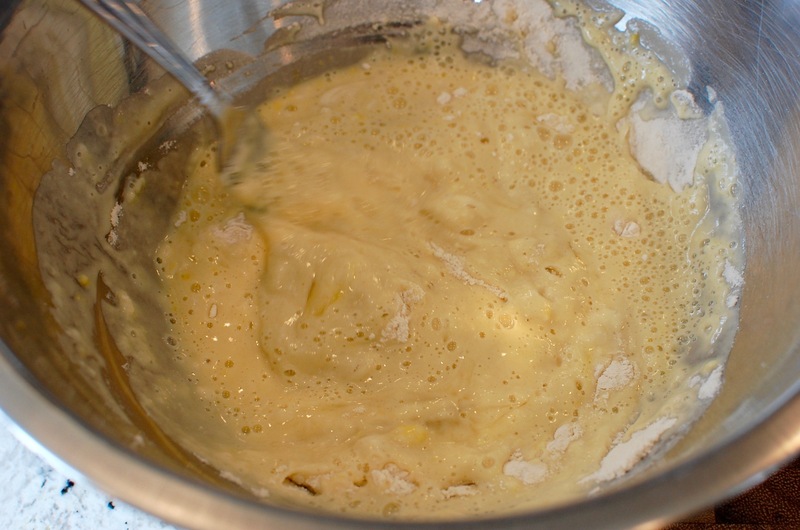 Mix the flour, water, egg, and salt to make a batter (similar in consistency to pancake batter). You will end up with about 1 1/2 c. of batter – enough to make 2 pancakes (3/4 c. batter per pancake). 5. Heat a little bit of frying oil in a non-stick skillet over medium (about 1 T). 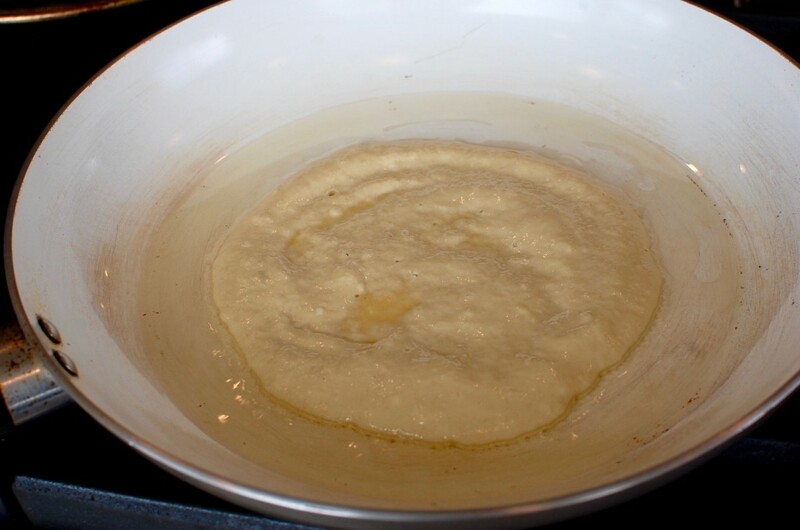 Add about 1/2 c. batter into the hot pan, spread it in a circle to form a round pancake. 6. Immediately top the batter with half the seafood and green onions (and carrots/red peppers if desired). Press the ingredients gently into the un-set batter with a spatula. 7. Pour about 1/4 c. more batter over the top. 8. Cook for about 2-3 minutes until the bottom is golden and crispy. (Make sure you have enough oil in the pan so that the pancake slides around if you shake the pan – you don’t want the batter or the seafood to stick to the pan!) Flip and cook 2-3 more minutes until done. 9. Flip onto a plate (cut into wedges if desired) and serve hot with a side of dipping sauce.